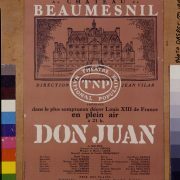 Discover the essentially fifties aesthetic of the Maison Jean Vilar, the red and blue emblems of the place and Jacno’s unique typography designs in replica. 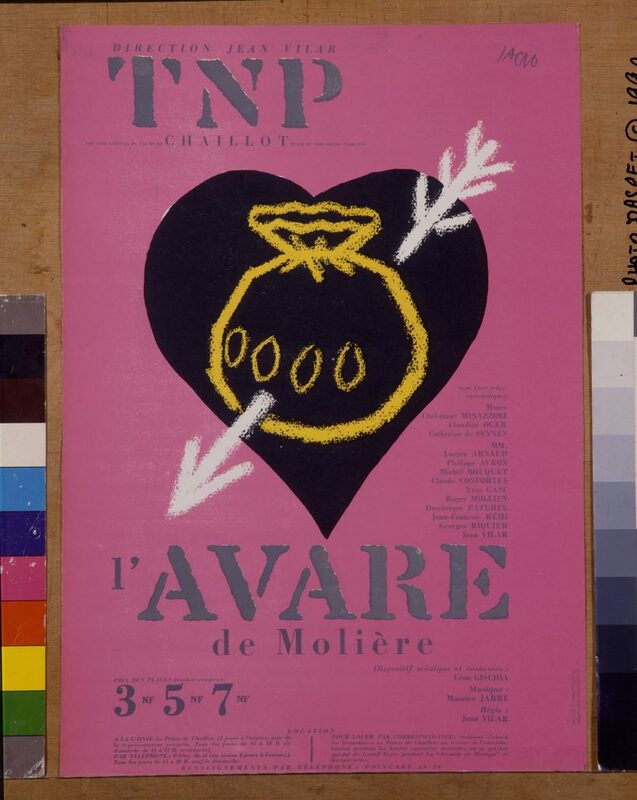 The not-to-be-missed Tote Bags, every festival-goer’s indispensable accessory. 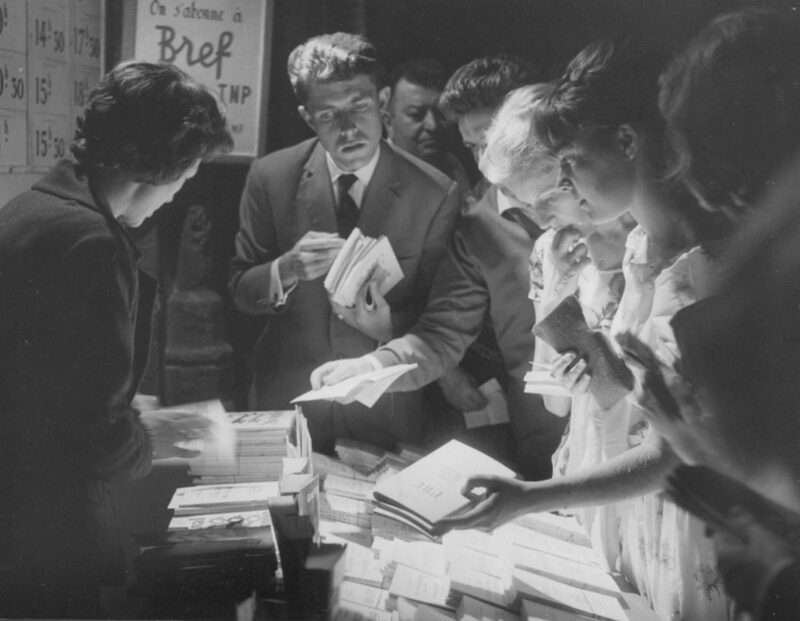 You can stroll through the boutique as you would through the aisles of a flea market or a bookseller’s. 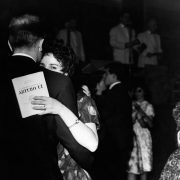 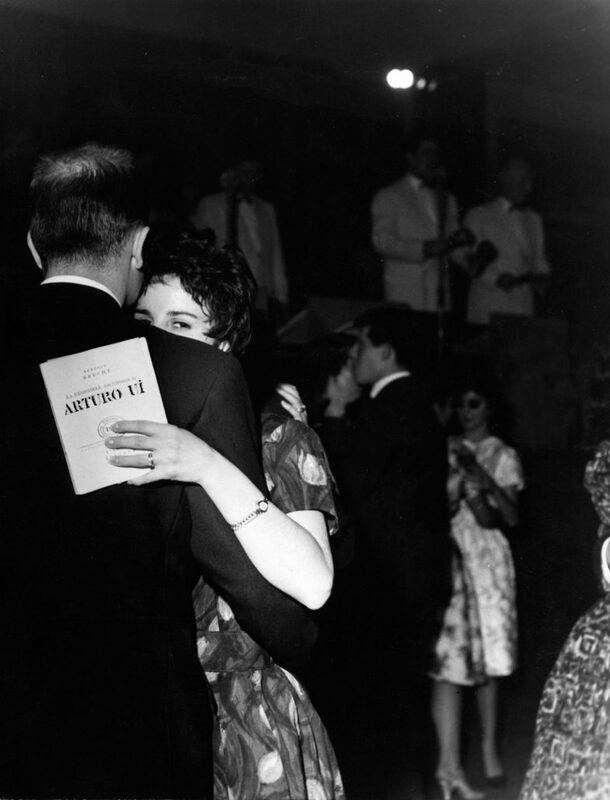 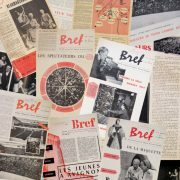 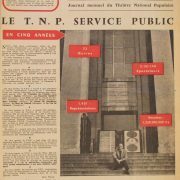 Open a copy of Bref, the TNP’s monthly publication in A3 format: special dossiers, spectators’ remarks, games… A journey into the theatre of the 50s. 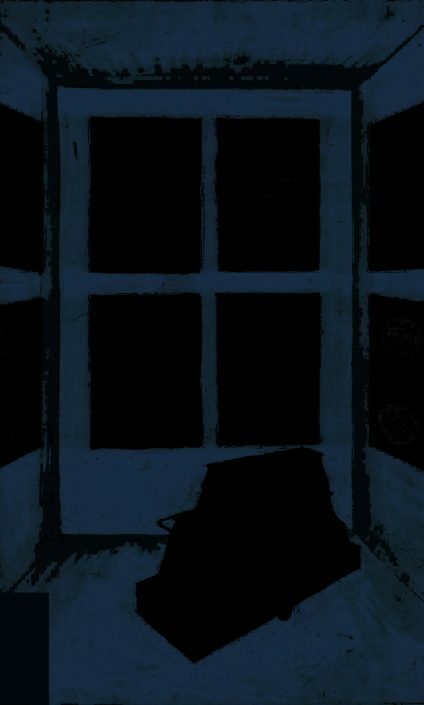 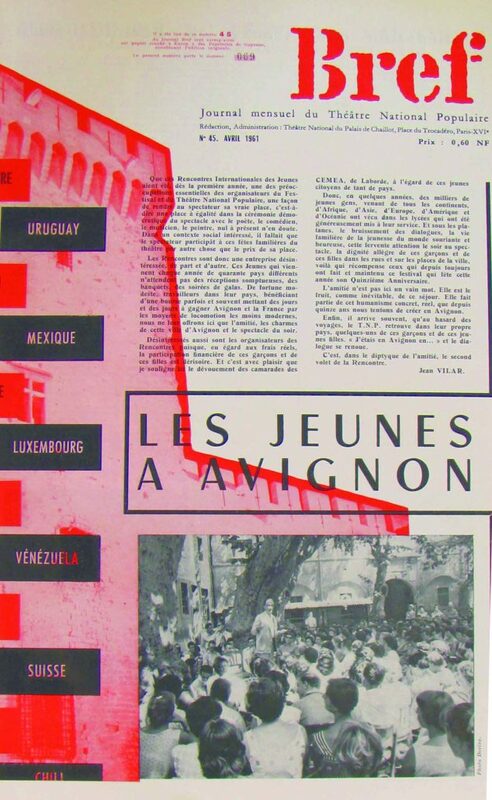 Leave with an original poster designed by the graphic artist Jacno! 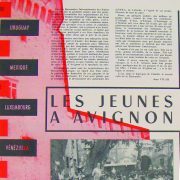 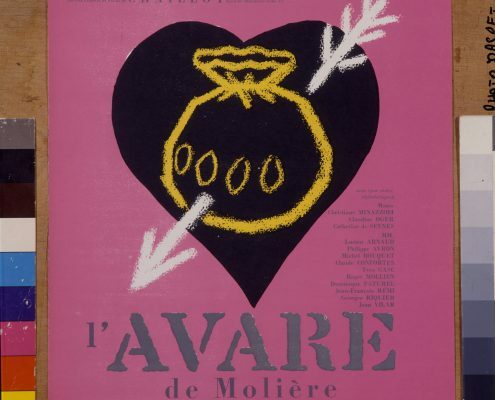 Association Jean Vilar publications (Les Cahiers Jean Vilar, catalogues of exhibitions since the founding of Maison Jean Vilar, monographs …) are also available for sale. 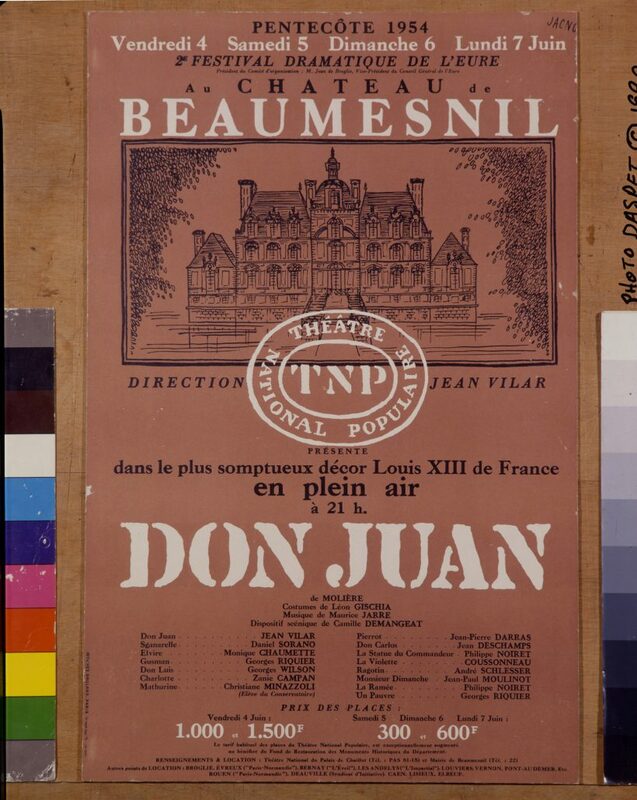 Bref first appeared in 1922 and became in 1956, under the direction of Jean Vilar, the Journal mensuel du Théâtre National Populaire (Monthly Journal of the TNP). 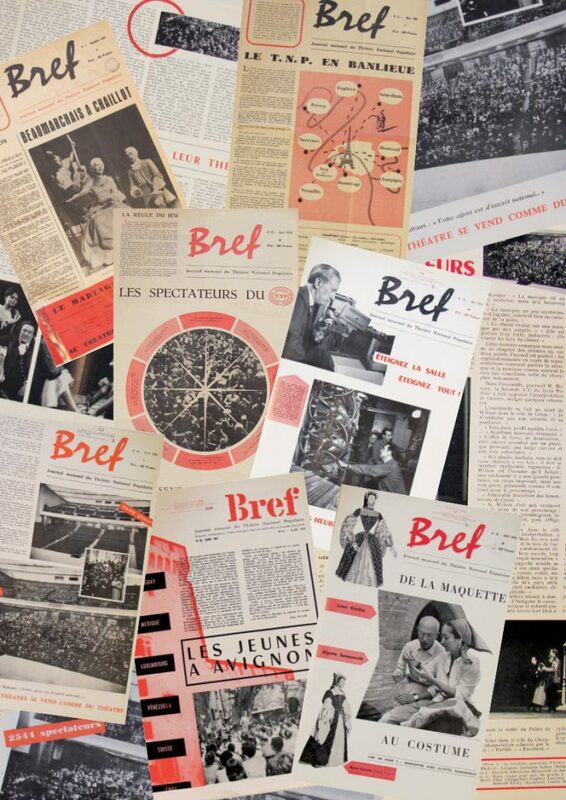 Carefully printed on newspaper in a broadsheet format, Bref was sold at a low price. 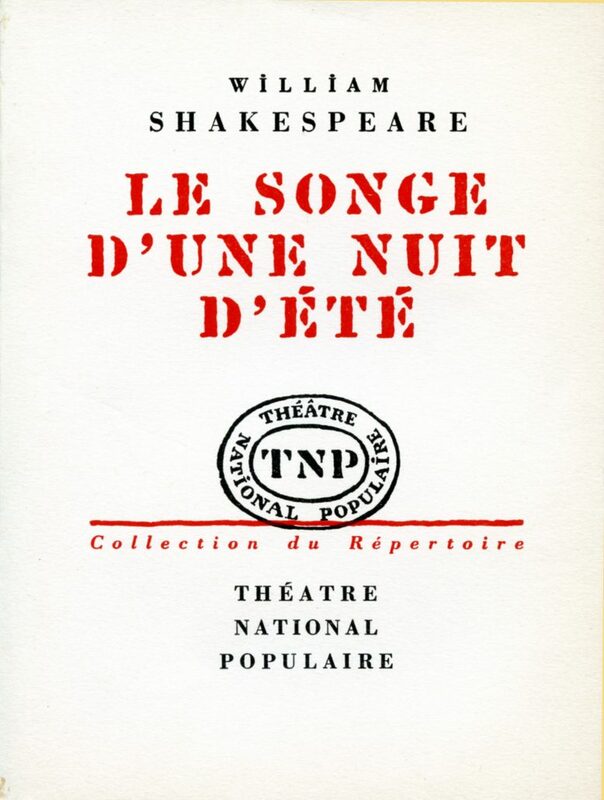 It reflected the “TNP spirit”, with dossiers on the touring schedules, portraits of technicians, in-depth commentaries on contemporary theatre, the place of classical texts, and even crosswords on the theme of the performing arts! 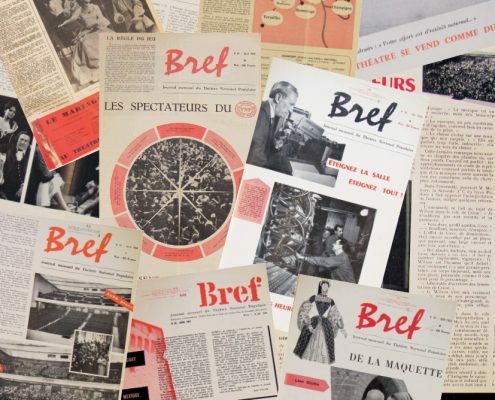 By sharing the life of the theatre and giving the reader-spectator a platform, Bref played a part in promulgating Jean Vilar’s vision and life’s work: a public service theatre. 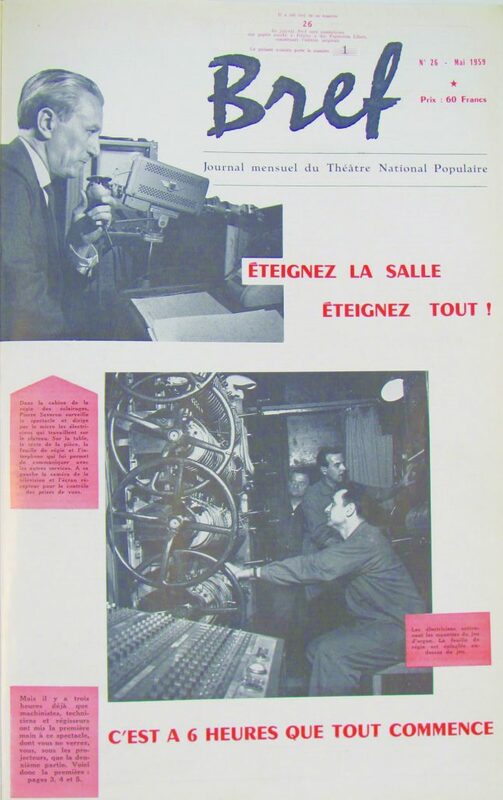 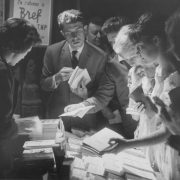 Bref also provides a mine of information for a sociological portrait of TNP audiences, and allows you to immerse yourself in the creative atmosphere of the mid-20th century. 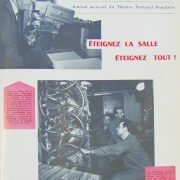 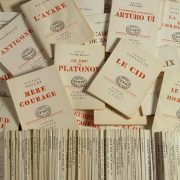 When Jean Vilar became director of the TNP, he got together with the publisher L’Arche to launch the Collection du Répertoire. 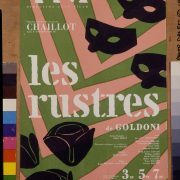 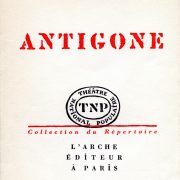 Instead of the traditional programme, this offered theatre-goers the full text of the play, illustrated by photographs of the show, mostly the work of Agnès Varda. 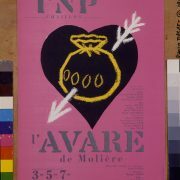 Marcel Jacno, the TNP’s renowned graphic artist, was responsible for the design, combining sobriety in form with pure lines, and no advertising. 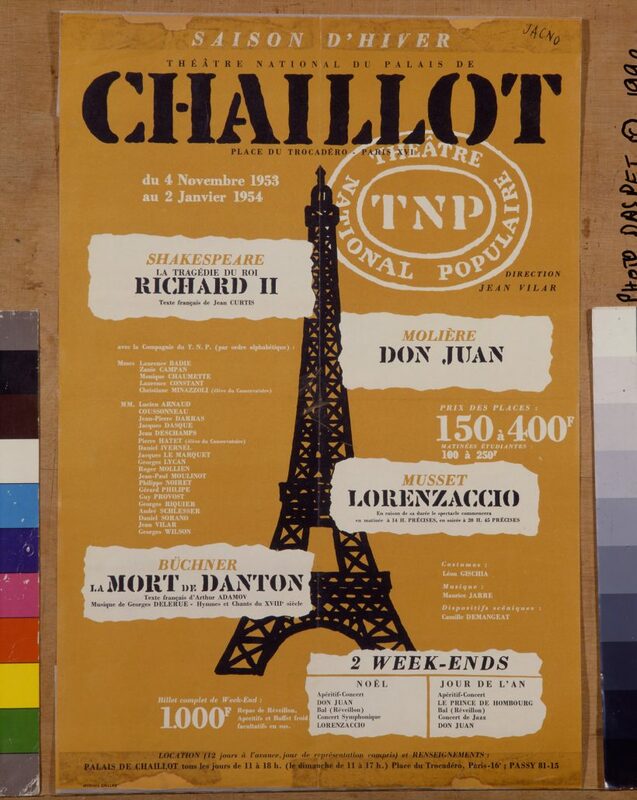 Sold at a particularly low price, this TNP programme was the very antithesis of lavish Opera booklets. 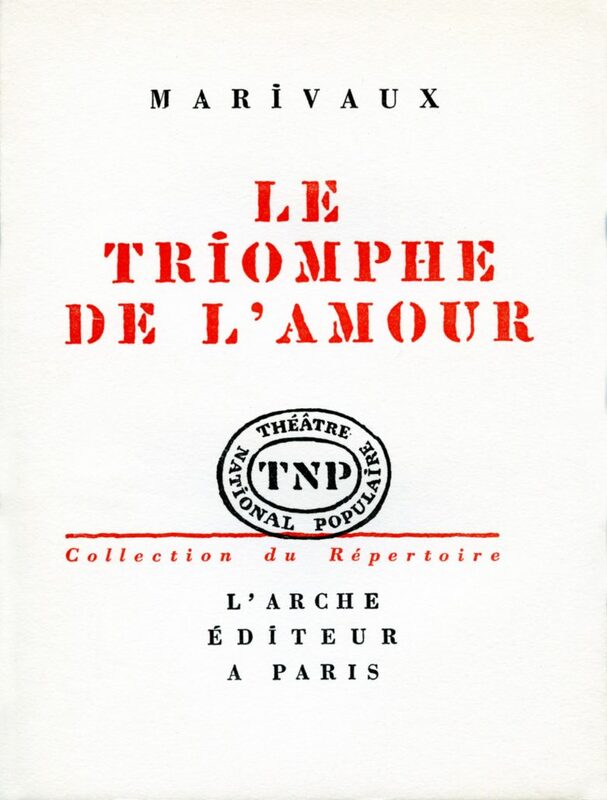 This collection is a testimony to Vilar’s two basic commitments – to the author and to the public. 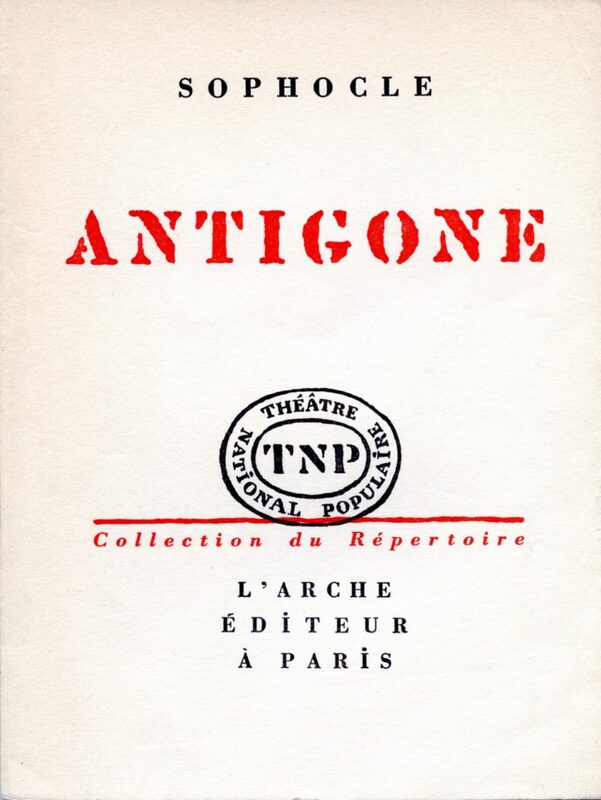 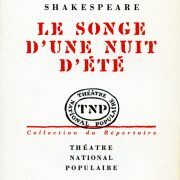 Its creation was contemporary with that of the Livre de Poche (famous paperback collection) in 1953 and it met with overwhelming success with the 5 million spectators who frequented the TNP at Chaillot, on tour and of course, in Avignon. 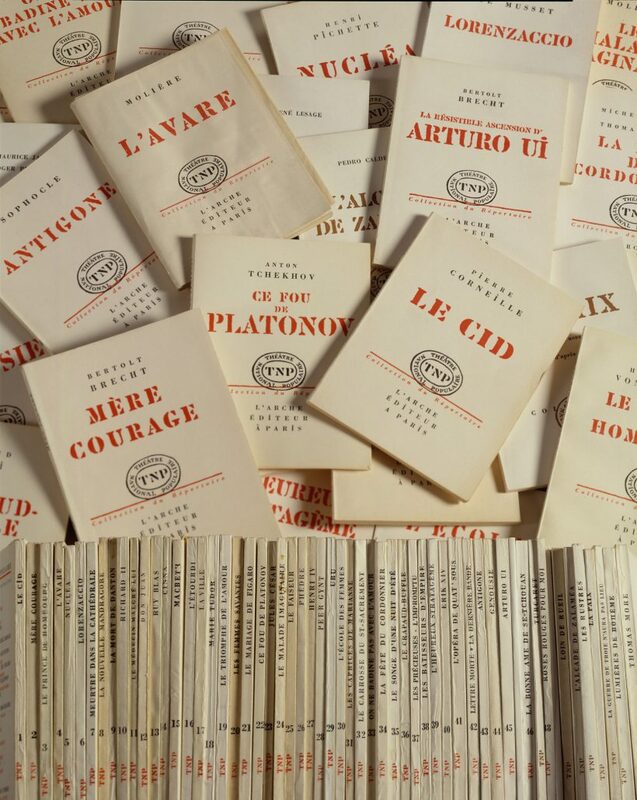 Almost a million of the copies sold made their way to family bookshelves. 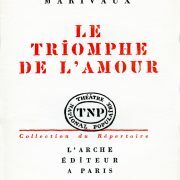 The Maison Jean Vilar which is now the custodian of this Collection, is giving you the opportunity to enter into this inspiring story of popular theatre and acquire, still at an affordable price: Molière’s classics, Marivaux plays rediscovered by Jean Vilar, the first edition of the première of Ce fou de Platonov, original editions of Henri Pichette’s Nucléa, Jean Vauthier’s La Nouvelle Mandragore, Armand Gatti’s first piece, Le Crapaud-buffle, the French première of Arthur Adamov’s translation of La Mort de Danton, or that of Michel Vinaver’s adaptation of Thomas Dekker’s The Shoemaker’s Holiday. 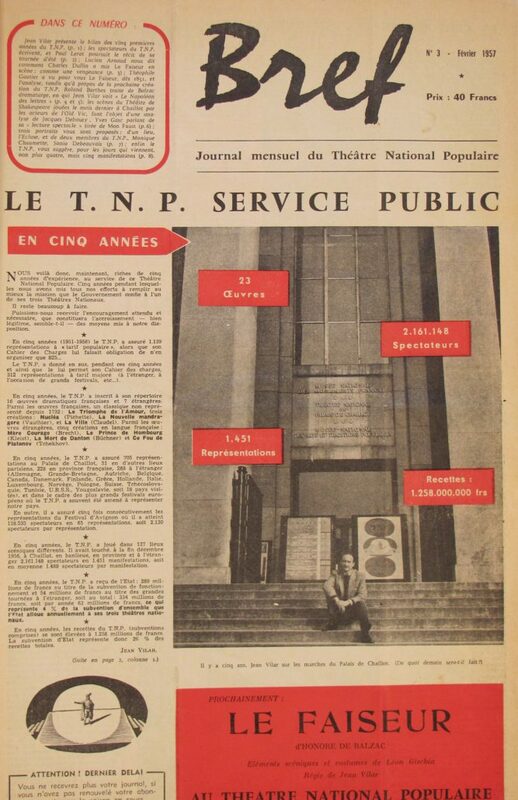 Marcel Jacno, known as Jacno, a graphic artist already renowned for his reinterpretation of a packet of Gauloises cigarettes in 1946, created an all-encompassing visual design for the TNP starting in 1951 when he designed the poster for the theatre. 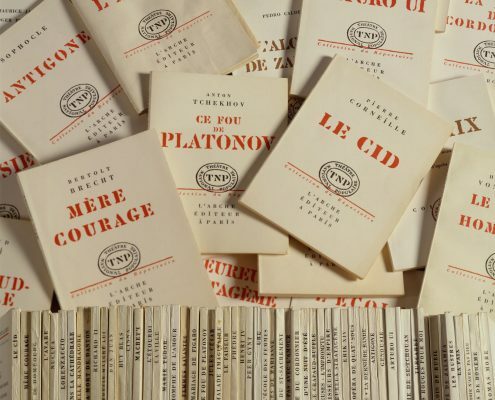 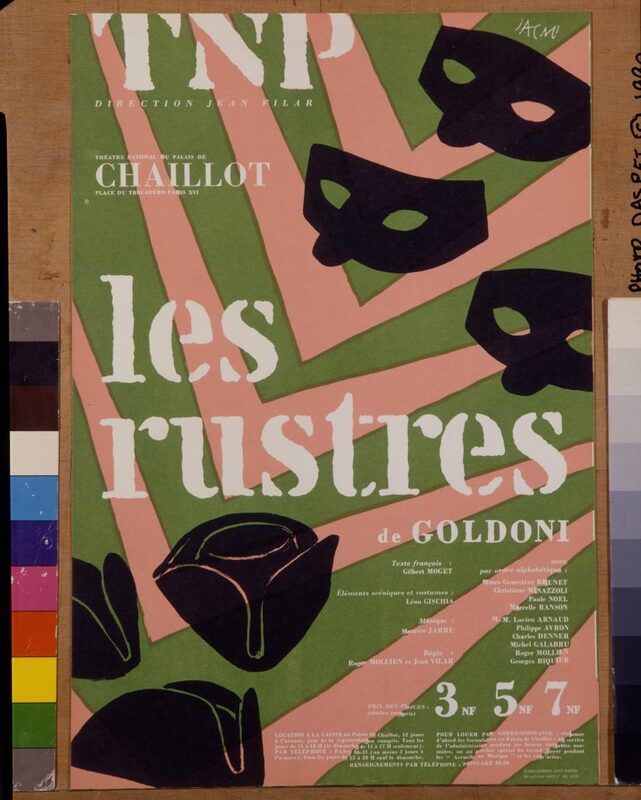 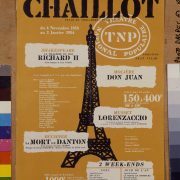 He invented one of the first systems of brand identity in France, stamping every document and object from the TNP with his famous “Chaillot” print inspired by the style of the stencil.